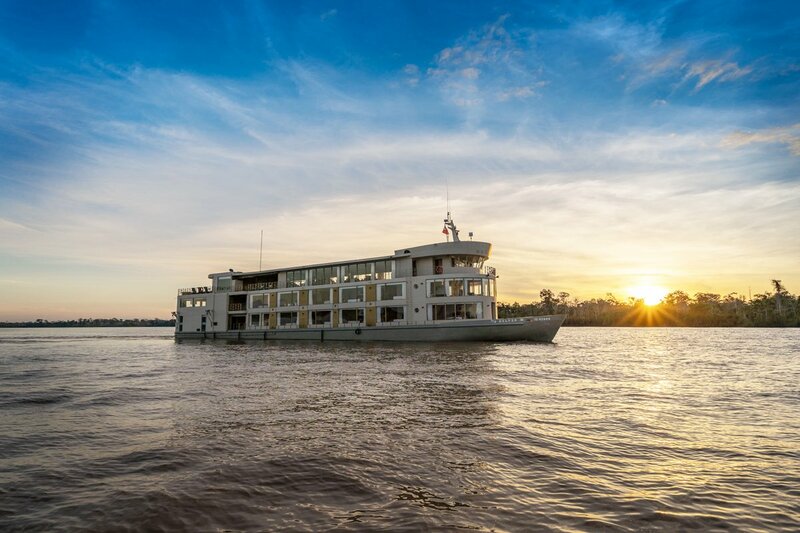 On board Delfin Amazon Cruises, you will experience a fantastic adventure in the longest river of the world. Your Amazon River tours cover 3 to 4 nights and comprise several water activities, jungle excursions and visits to local communities. On Delfin I, our most exclusive vessel, you will live and incredible Amazon River tour. On day 1, you will arrive to Iquitos at night, where we will personally pick you up and take you to our vessel. There you will experience a happy hour orientation and then embark on a Marayali night excursion. The next morning, you will follow the jungle trails on the Amazon Park and practice canopy walking among the incredibly tall trees of the jungle. Then you will embark on a skiff exploration navigating the Yanayacu-Pucate river, paddle boarding and swimming with dolphins. The morning of the third day, you will explore Fundo Casual on skiffs and follow the trail walks of the jungle. Afterwards, you will navigate the Nauta Caño Creek, fish piranhas at sunset and discover the night safari. On day 4 you will visit a river community and navigate on skiffs and kayaks on the Yarapa River. The final day you will disembark and visit the Rescue & Rehabilitation Center of River Mammals (ACOBIA), where you will feed baby manatees. 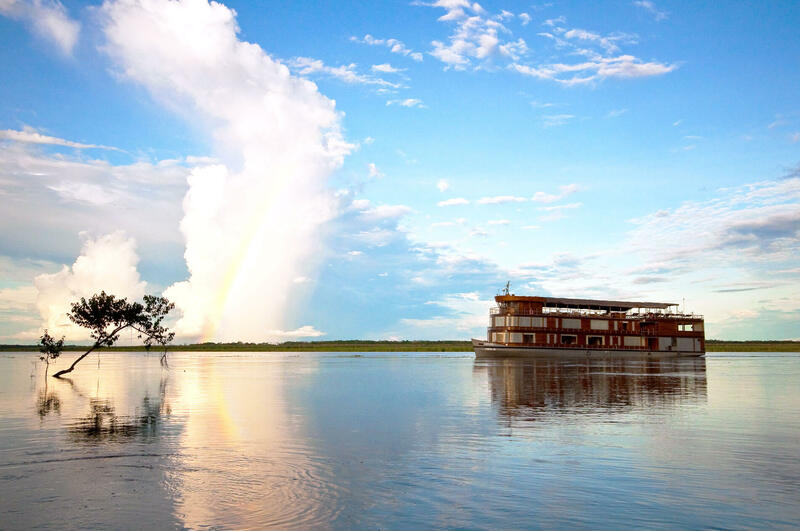 Aboard our boutique vessel, Delfin II, you will also experience a fantastic Amazon River tour. 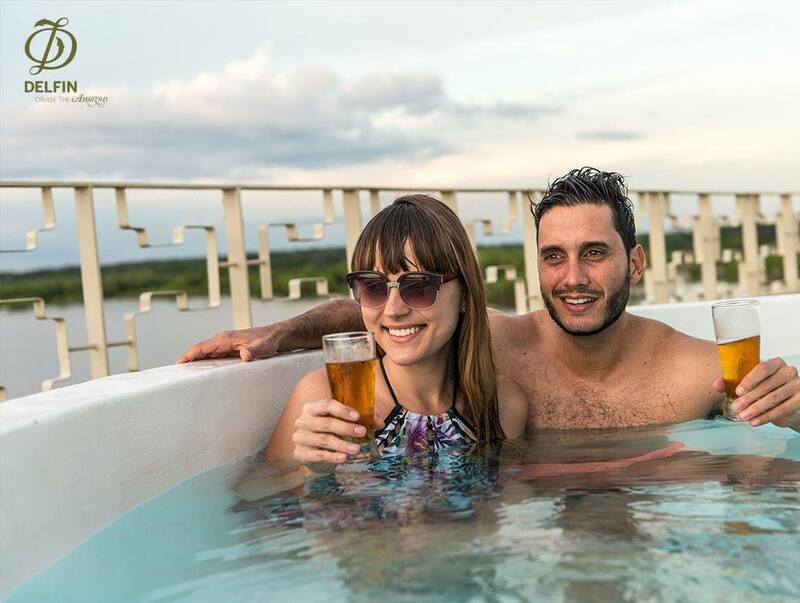 After arriving at Iquitos at night and being transferred to Nauta, you will receive a VIP reception at our private port and then will embark. The second day, you will explore the Belluda Cano Creek on skiffs and encounter pink dolphins. Afterwards, you will navigate the Dorado River and fish piranhas as the sun sets down. The morning of the third day, you will explore the Zapote River and kayak in the center of the Pacaya Samiria Reserve. In the afternoon, you will kayak and fish in the Pacaya River. The next day you will navigate the Clavero Lake and the Yarapa River on skiffs and visit the Puerto Miguel village. Finally, the fifth day you will disembark and visit the Rescue & Rehabilitation Center of River Mammals. On Delfin III, your Amazon River tour will start at your arrival to Iquitos. The second day you will explore the Samiria River on skiffs and, on the afternoon, you will navigate the Yanayaquillo River and engage in the wonderful practice of birdwatching. The third day, you will navigate the Yanacu River and swim in its calm waters; then, you will explore the Nauta Caño on skiffs and fish piranhas. 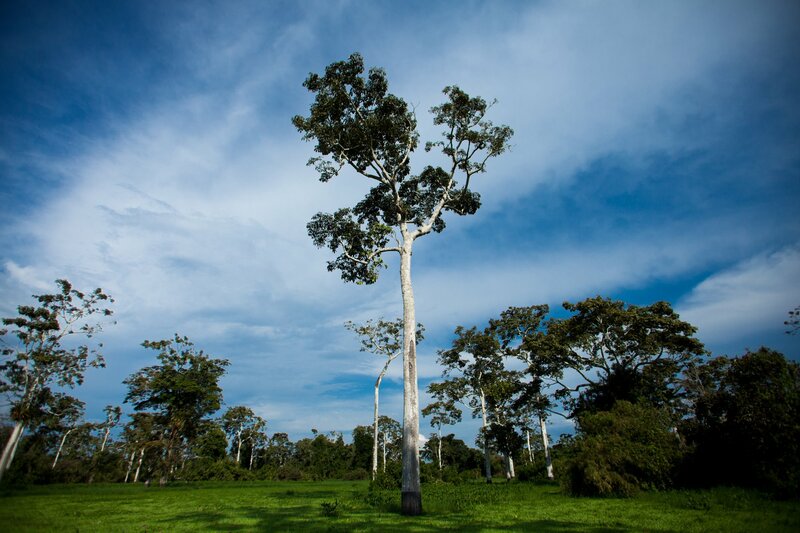 The four day, you will visit Fundo Casual and explore the jungle. In the afternoon, you will sail on skiffs in San Francisco, visit the community and local school. Finally, the fifth day, you will disembark and visit the Rescue & Rehabilitation Center of River Mammals. Enjoy the breathtaking rainforest experience of your Amazon River tour with Delfin Amazon Cruises. For more information on the departure, check here.